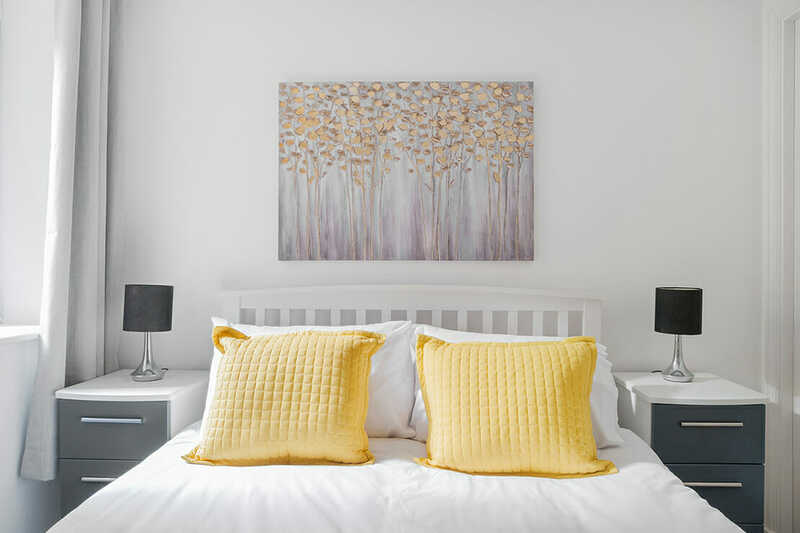 Pricing is now accurate for your stay. 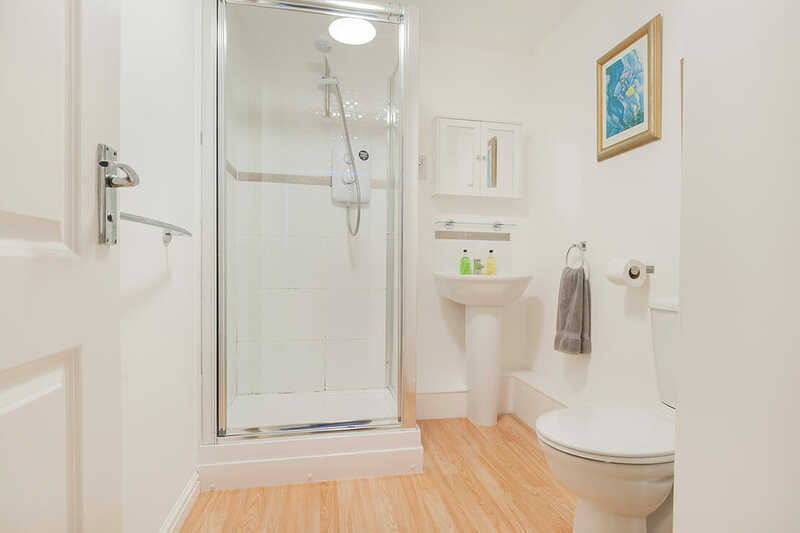 However, there will be a cleaning fee added to the reservation costs. 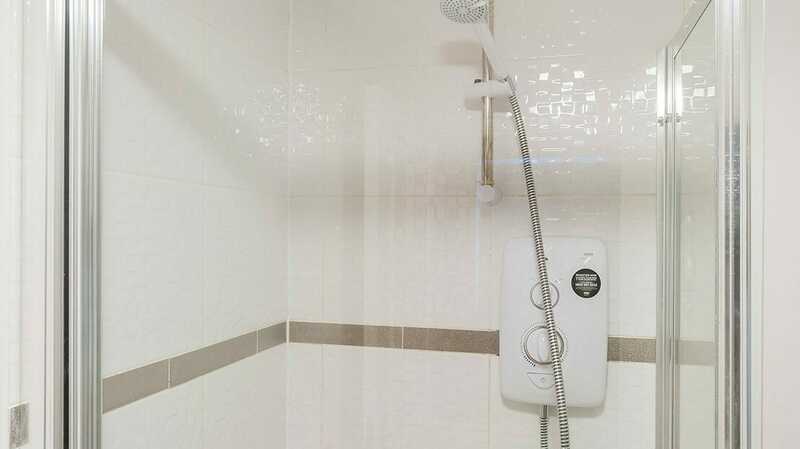 We have not found a way to add this automatically. 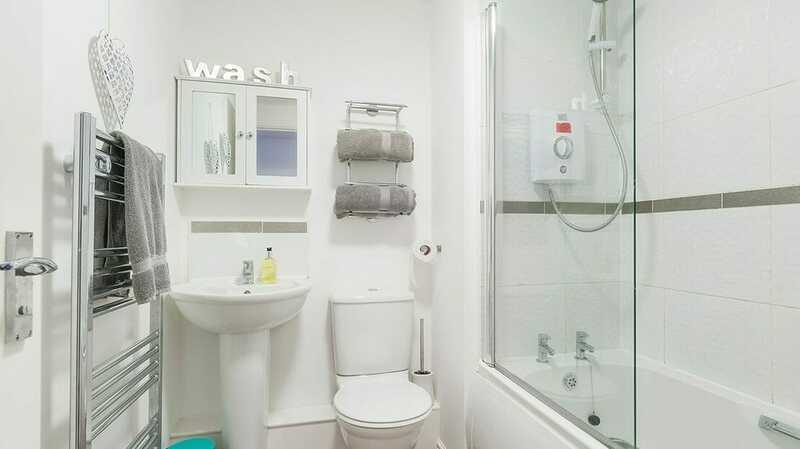 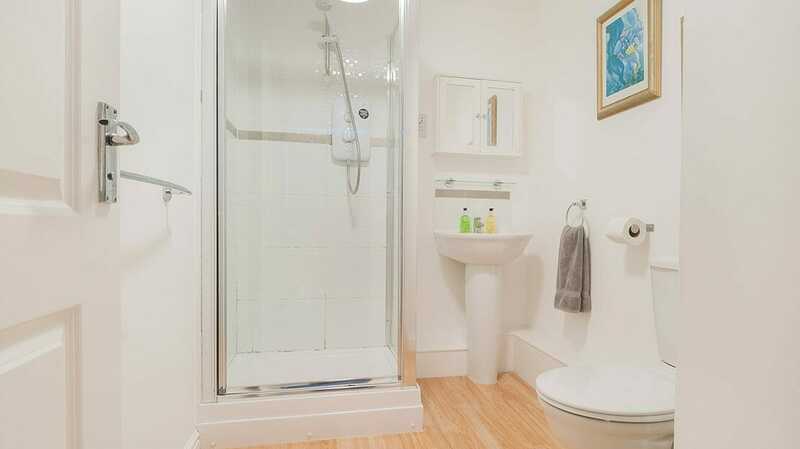 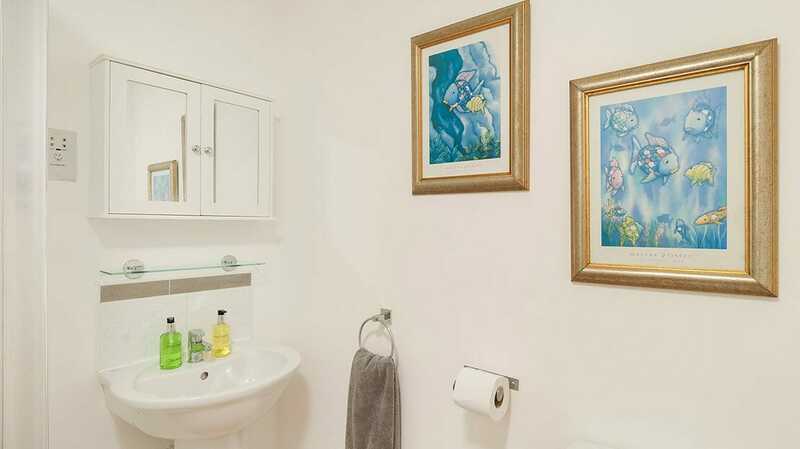 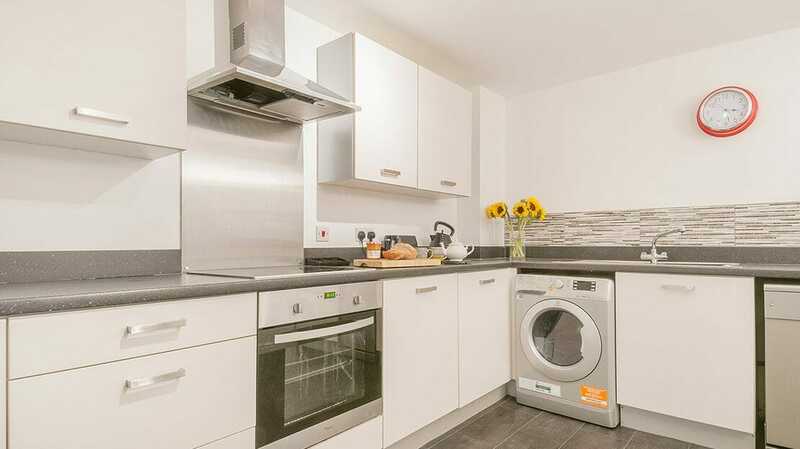 For this property, the price of the clean is £75. 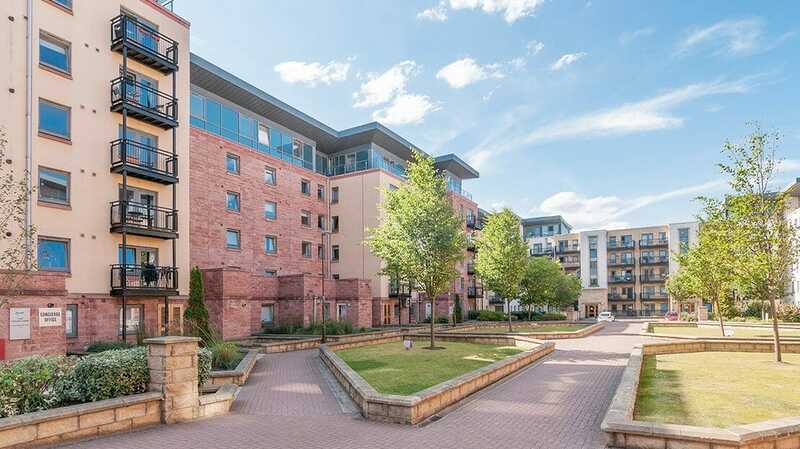 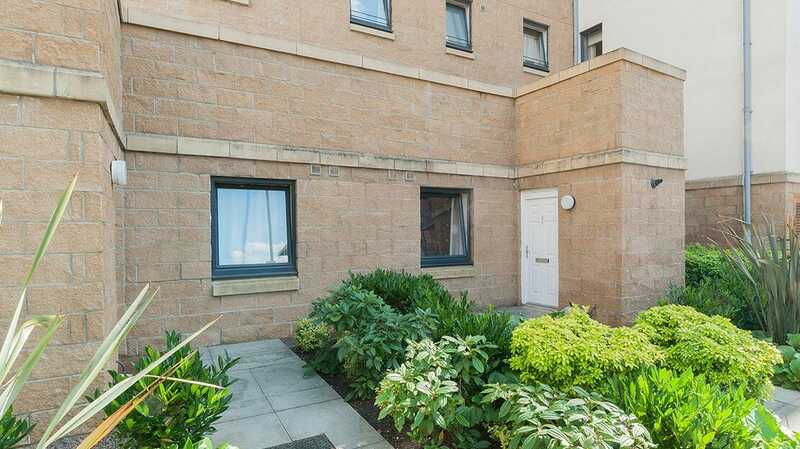 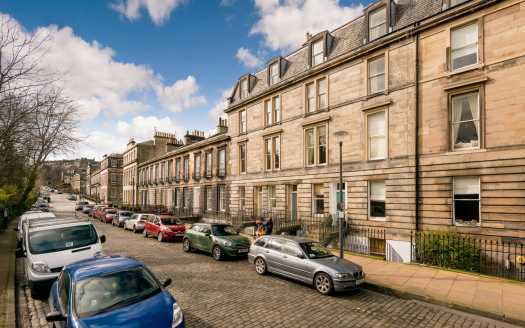 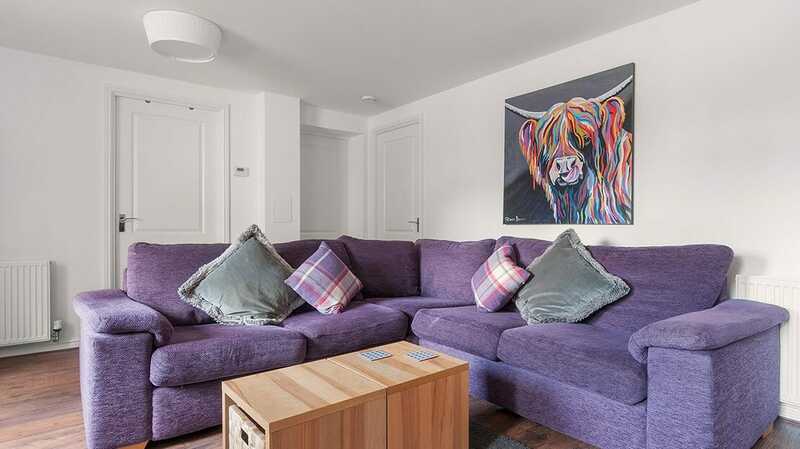 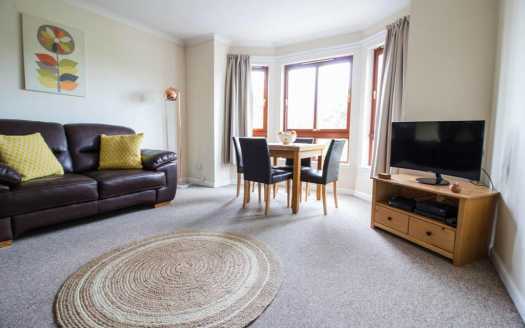 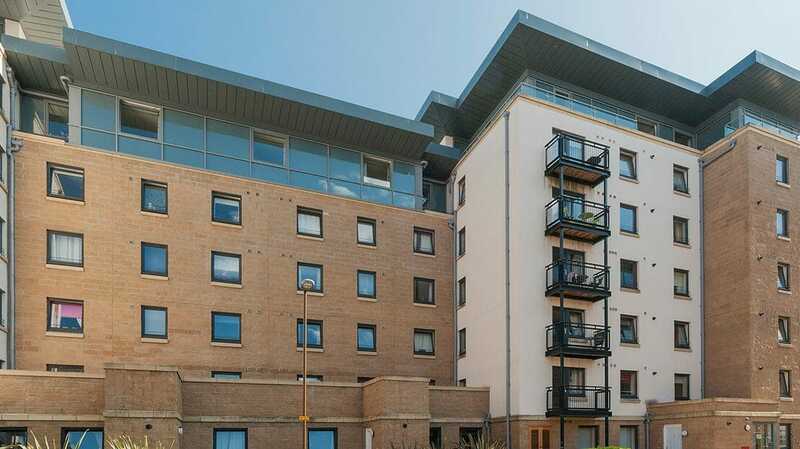 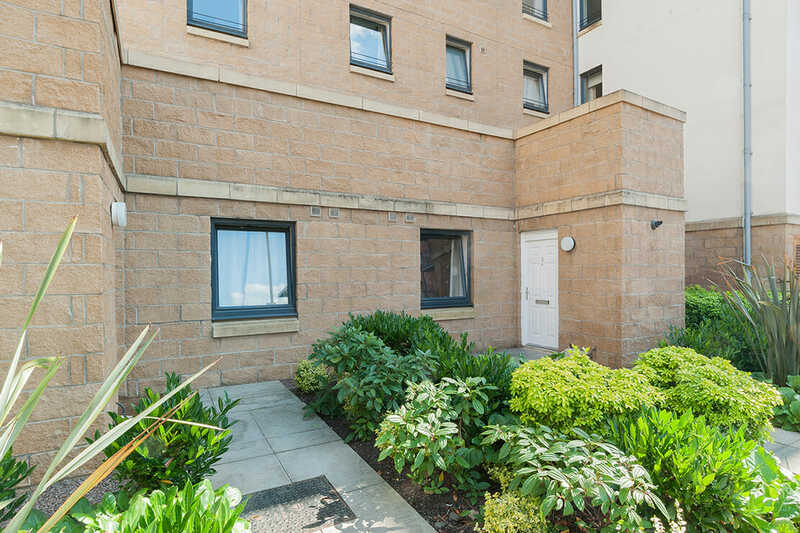 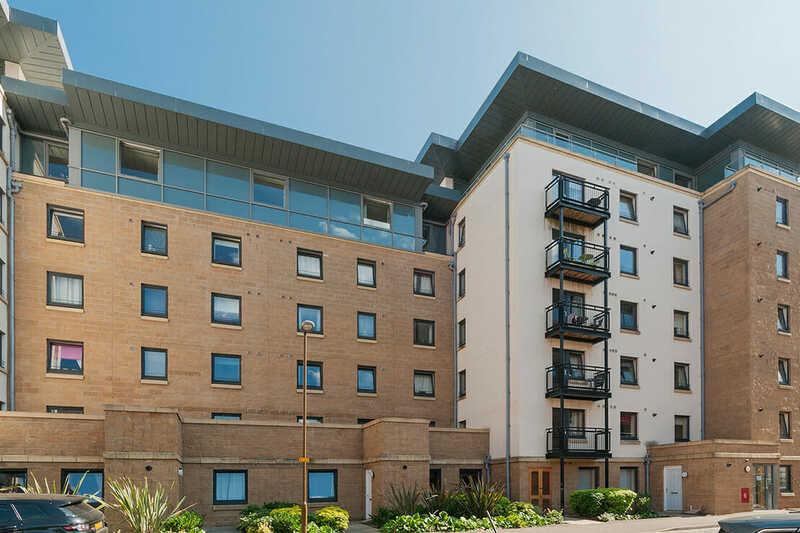 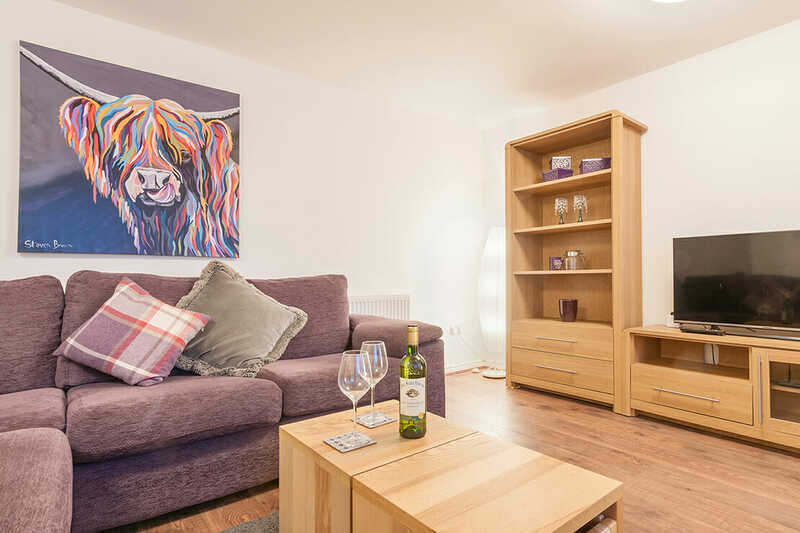 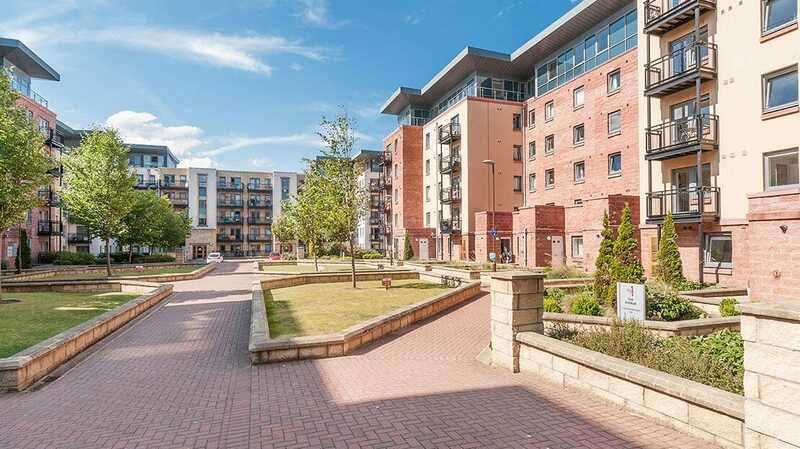 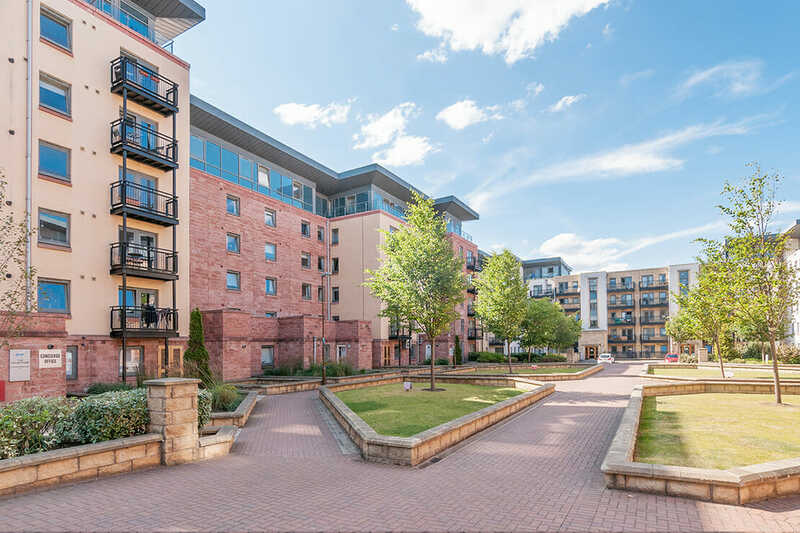 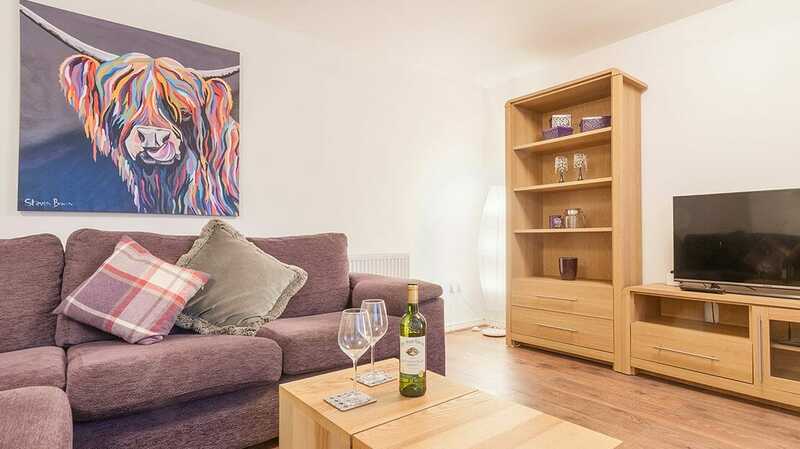 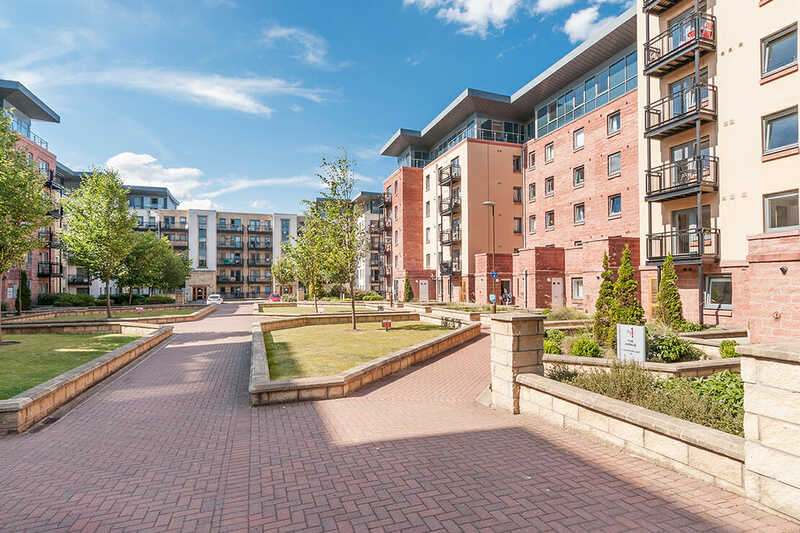 This stunning 3 bedroom, ground floor apartment in the wonderful Slateford Gait complex has recently been fully refurbished ready for guests. 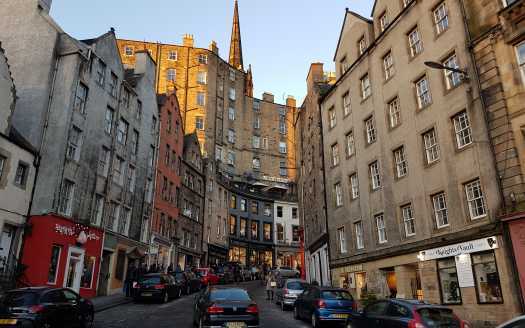 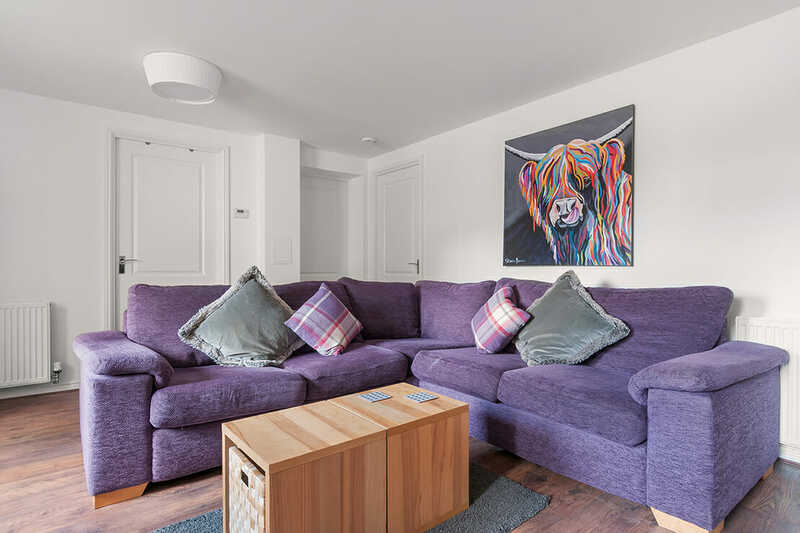 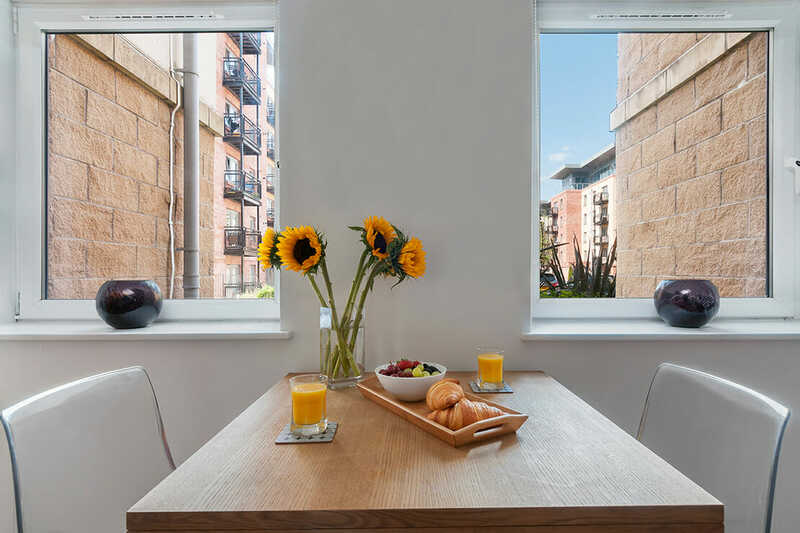 Situated within a high-end development about 1 1/2 miles to the West of Edinburgh’s Haymarket station, guests will have ample space and equipment for dining in but being well-served by buses and having free on-site parking, they can easily pop into the city centre for dinner too. 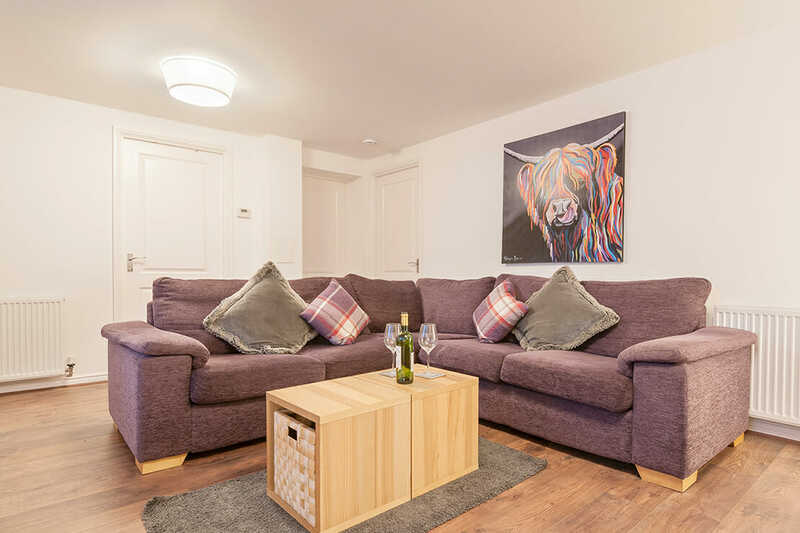 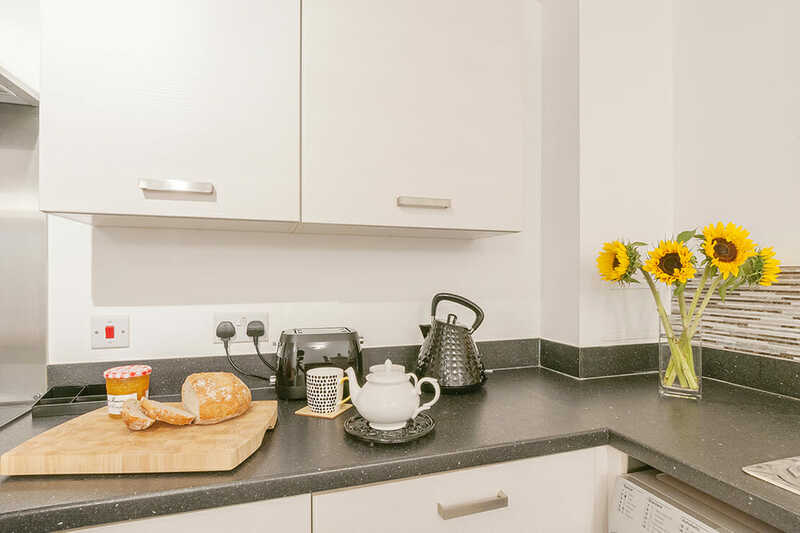 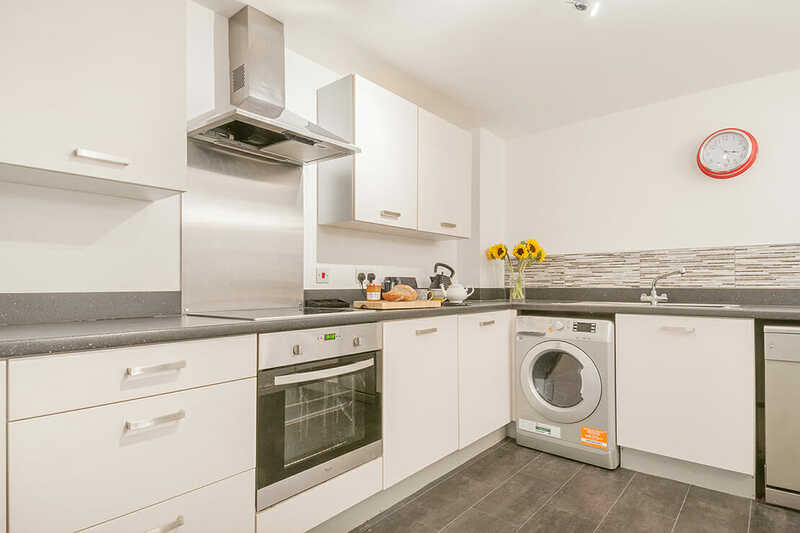 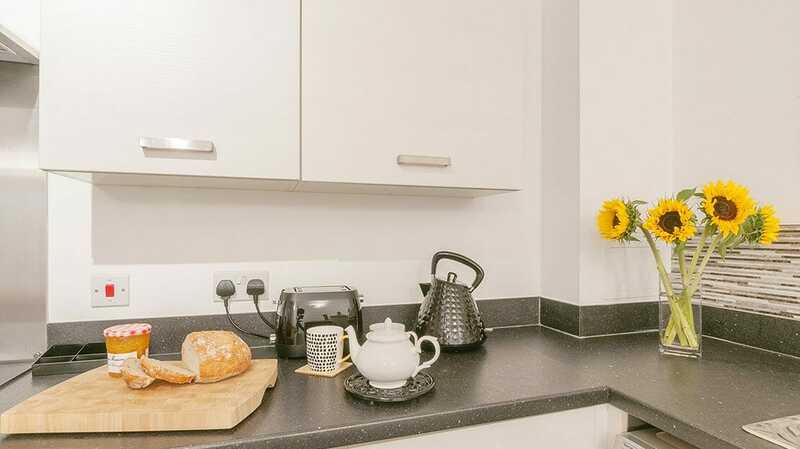 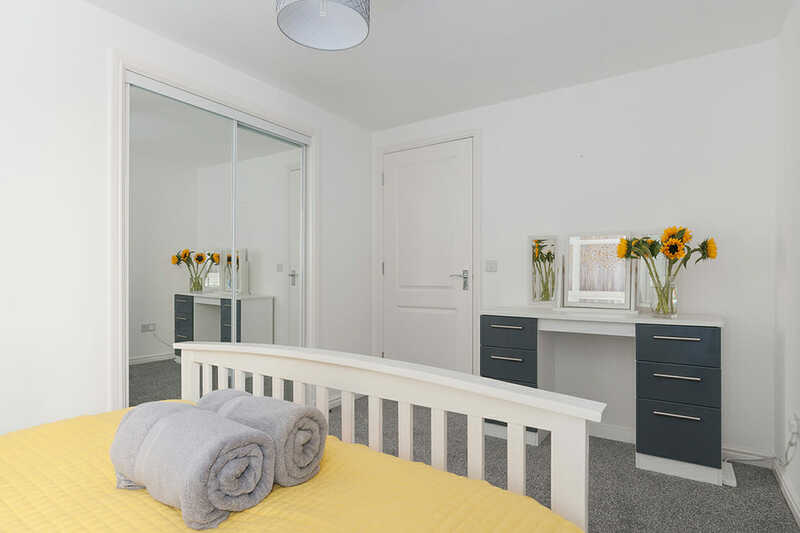 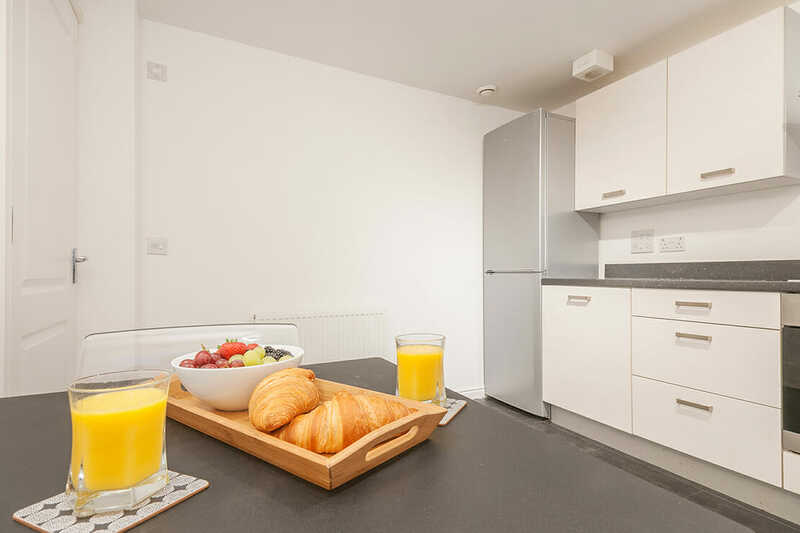 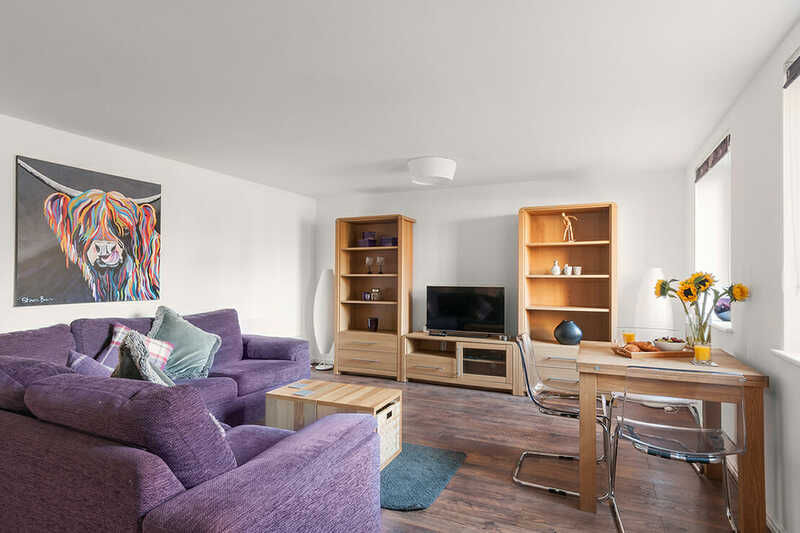 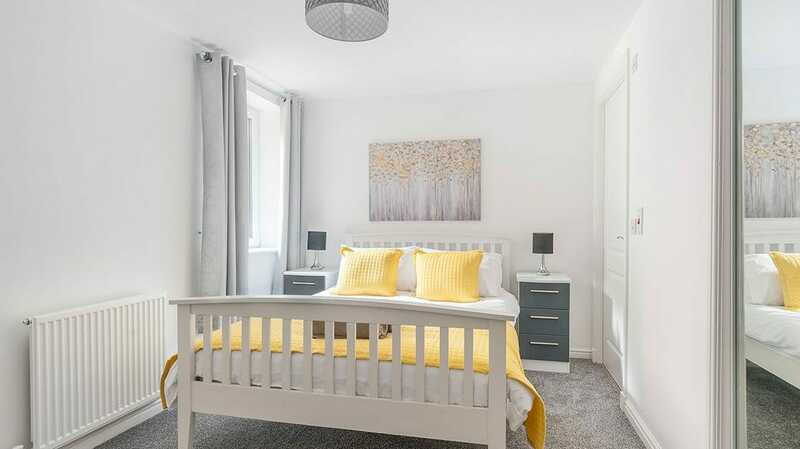 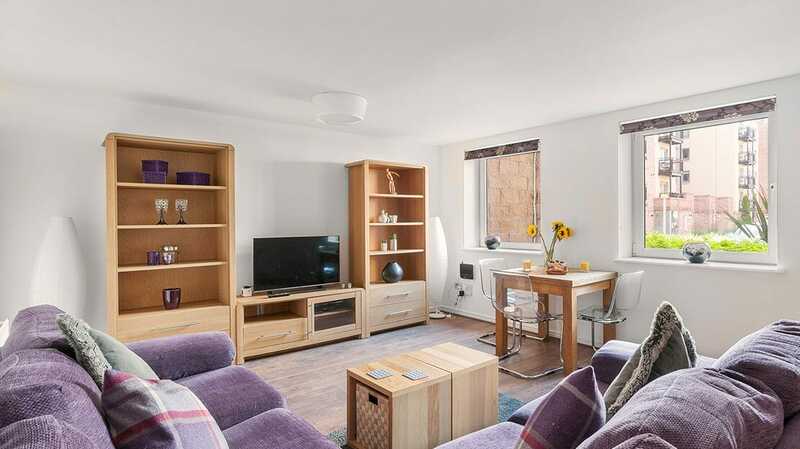 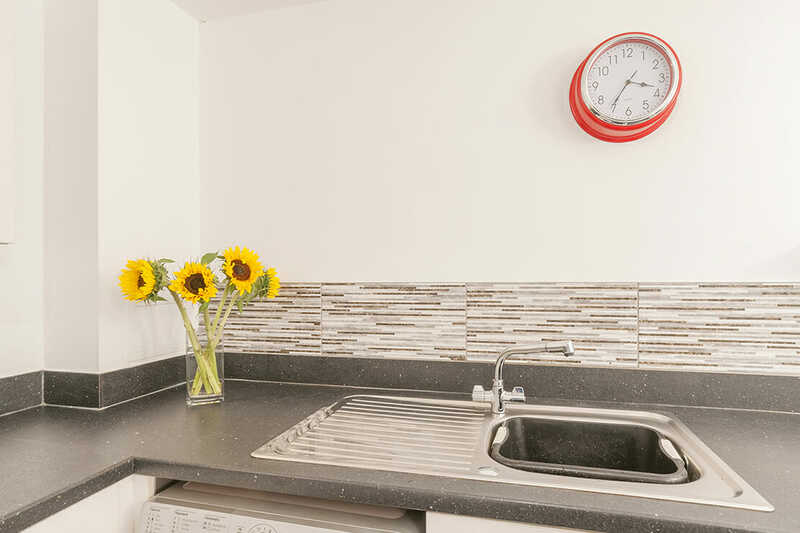 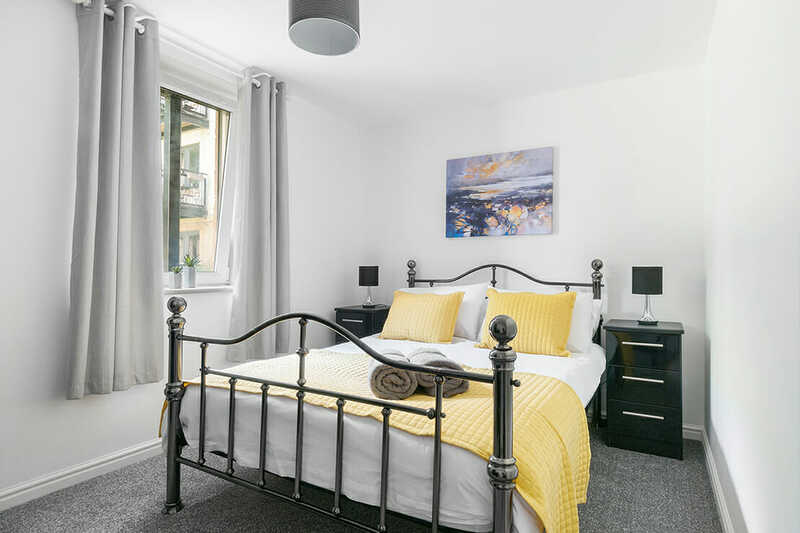 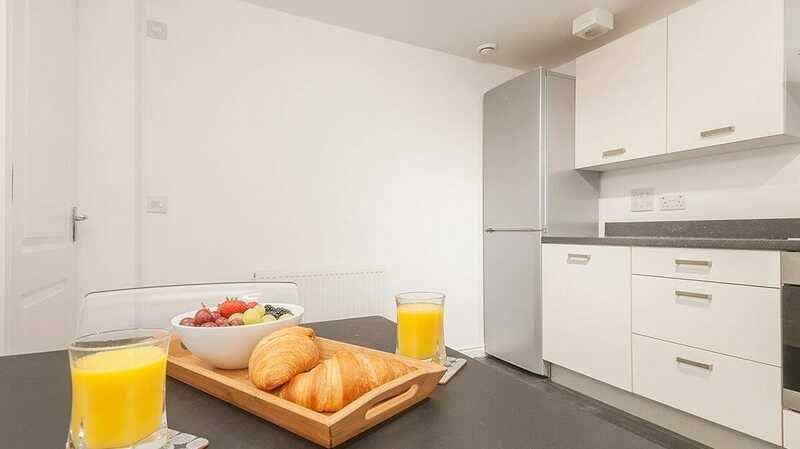 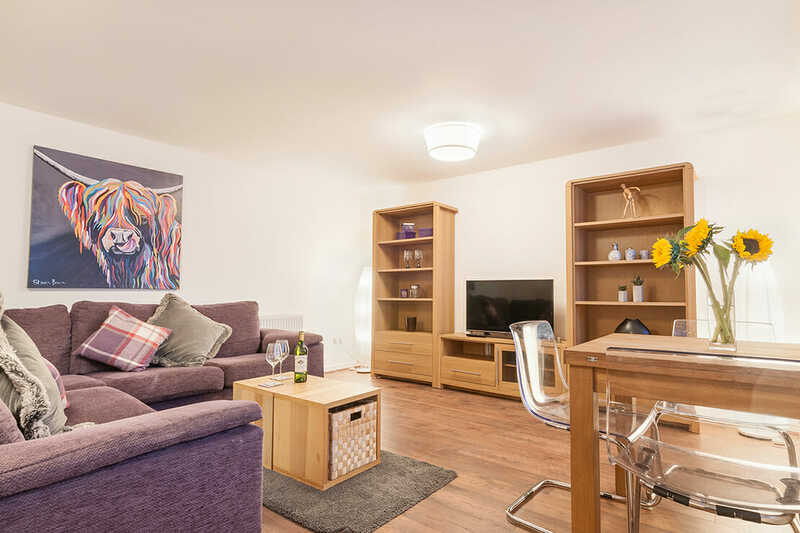 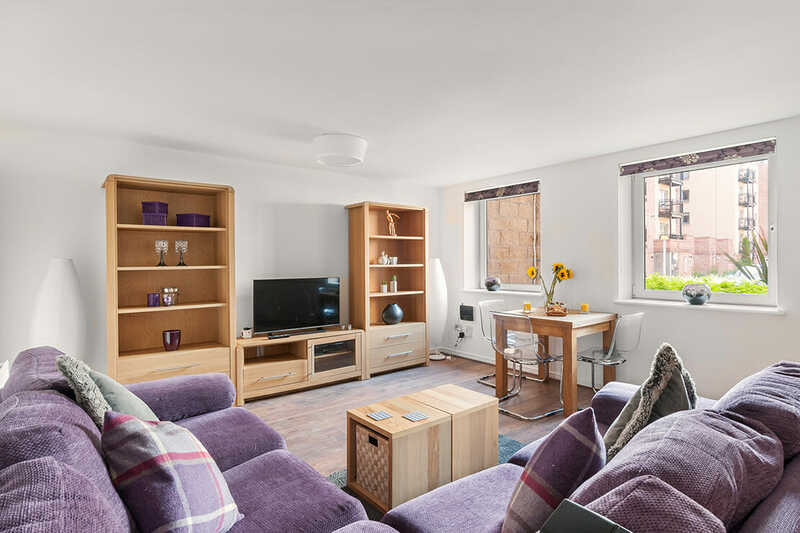 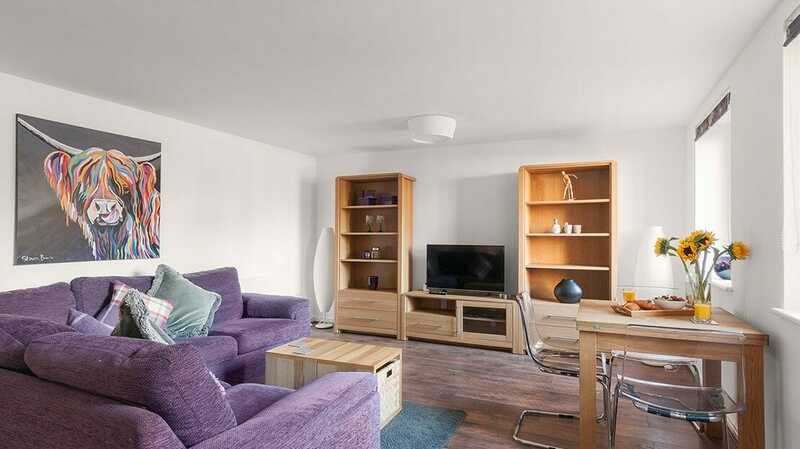 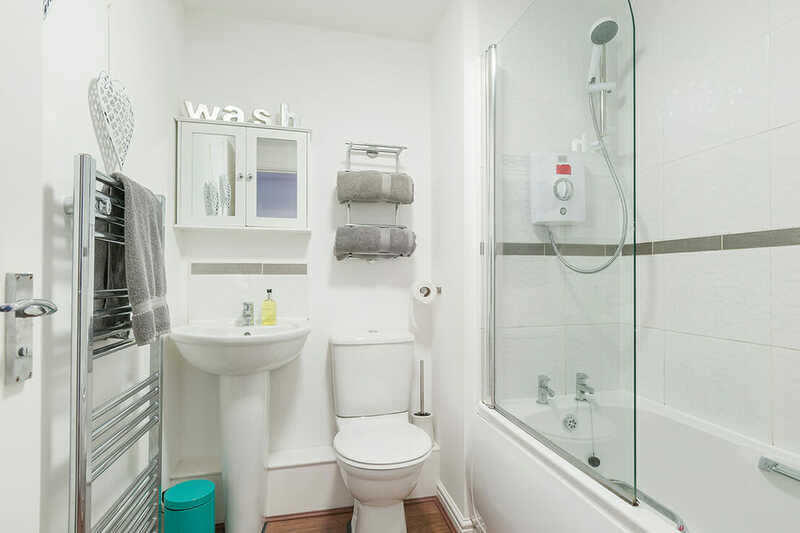 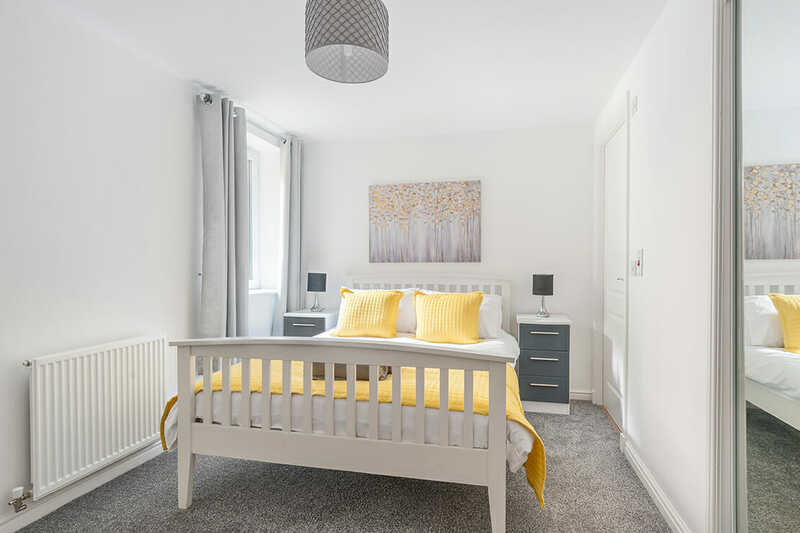 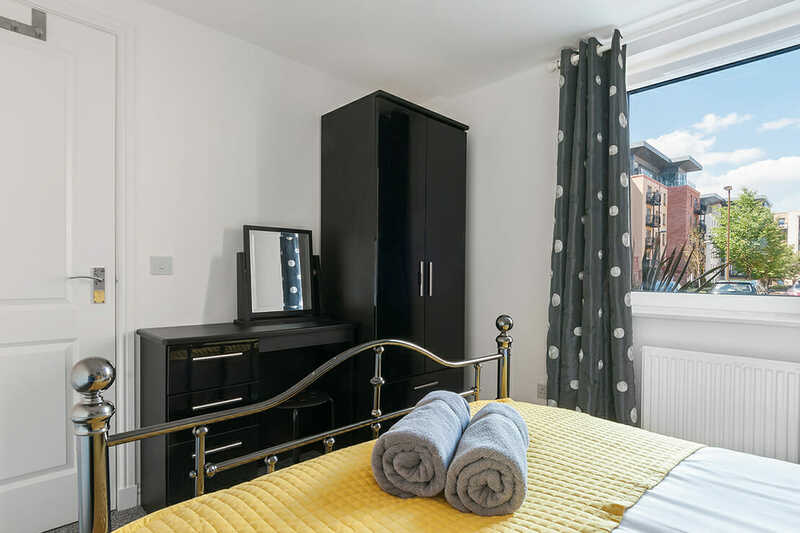 This stunning flat has three bedrooms (one en-suite), a large living room with dining space, super fast wifi, fully equipped kitchen and family bathroom with shower and bath. 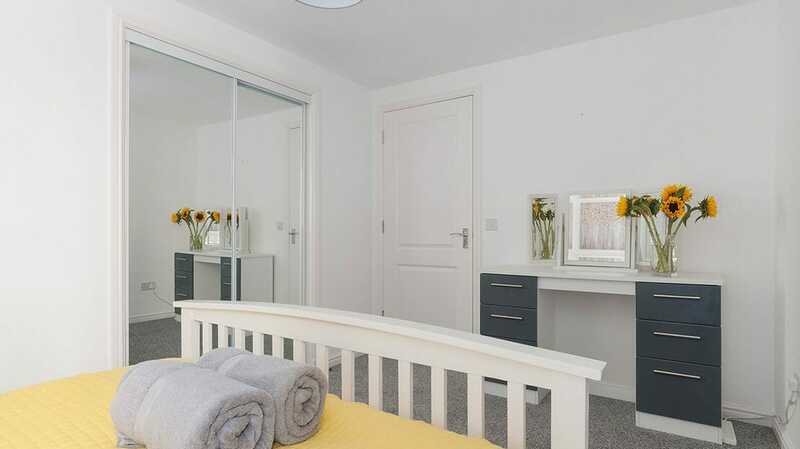 One of the bedrooms is now fitted as a twin room. 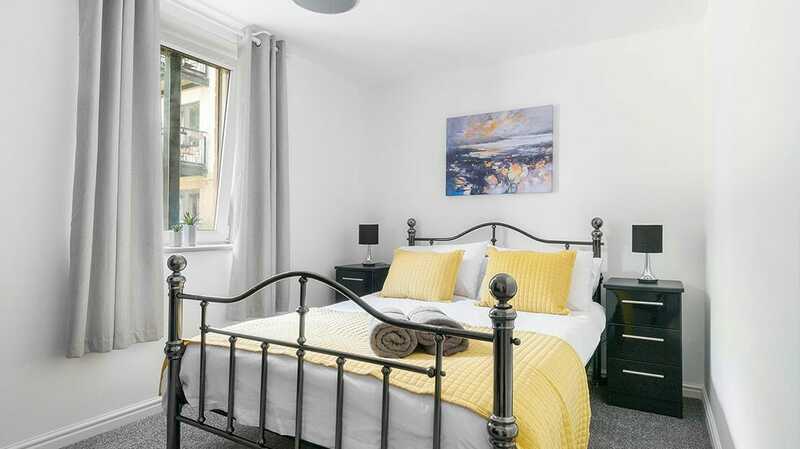 Guests can request to have it made up as a super king bed as long as 48 hours’ notice is given. 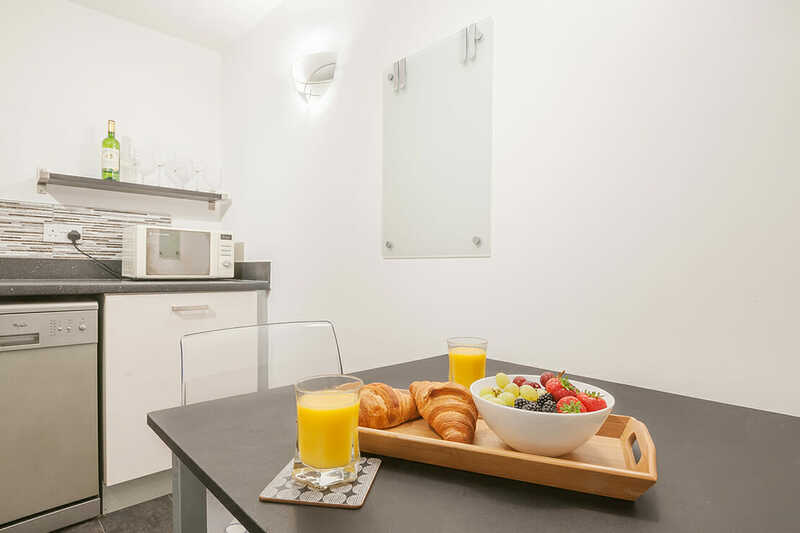 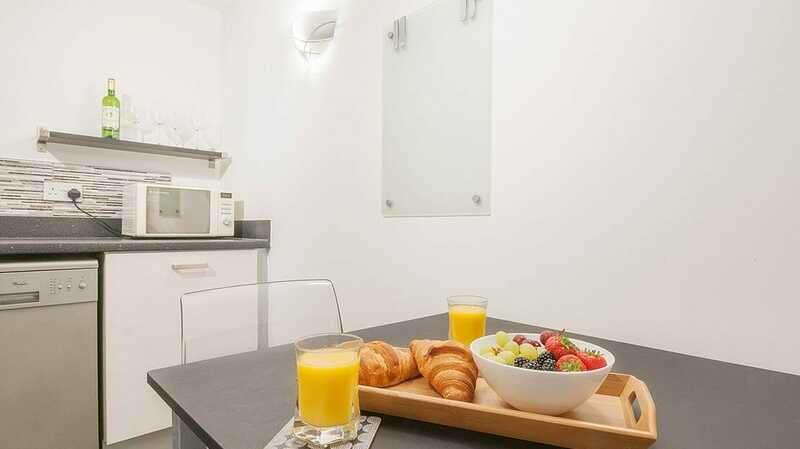 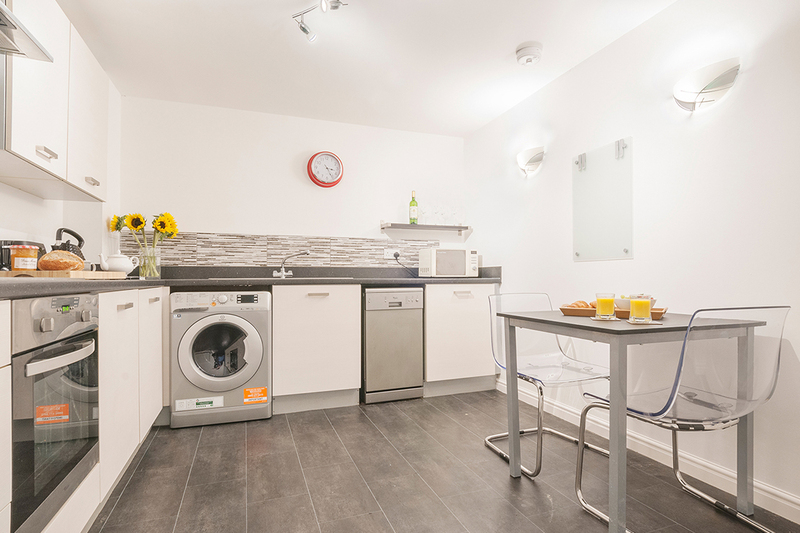 The well-equipped kitchen comes with brand new Washer Dryer and all the items you need to make your stay a comfortable one. 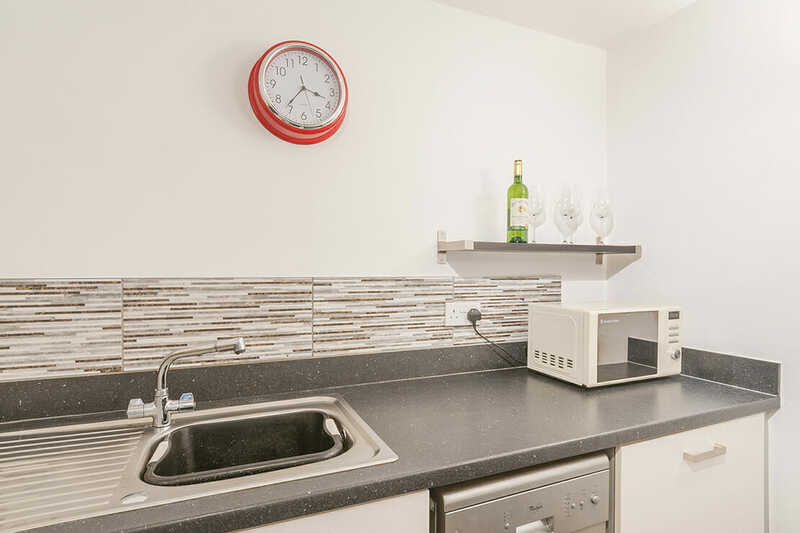 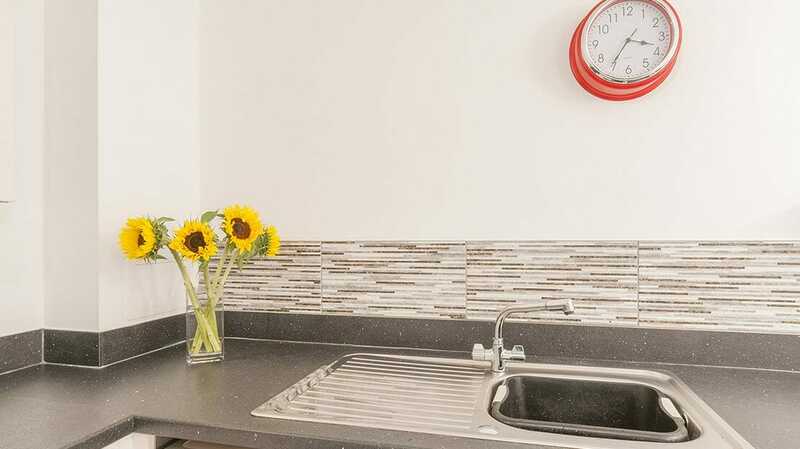 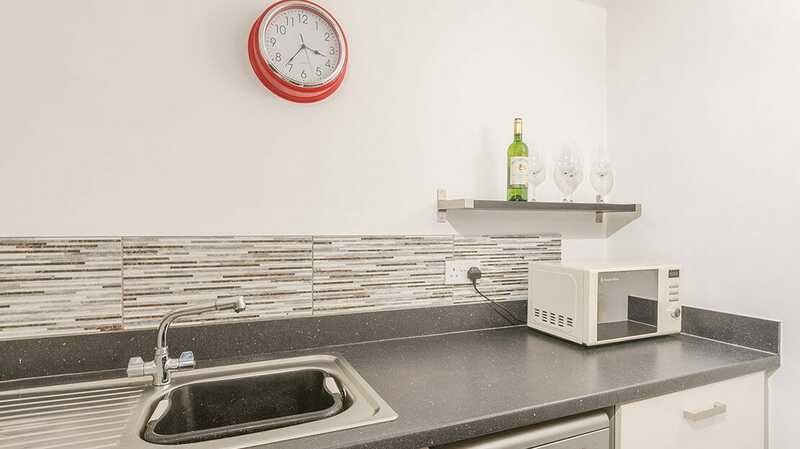 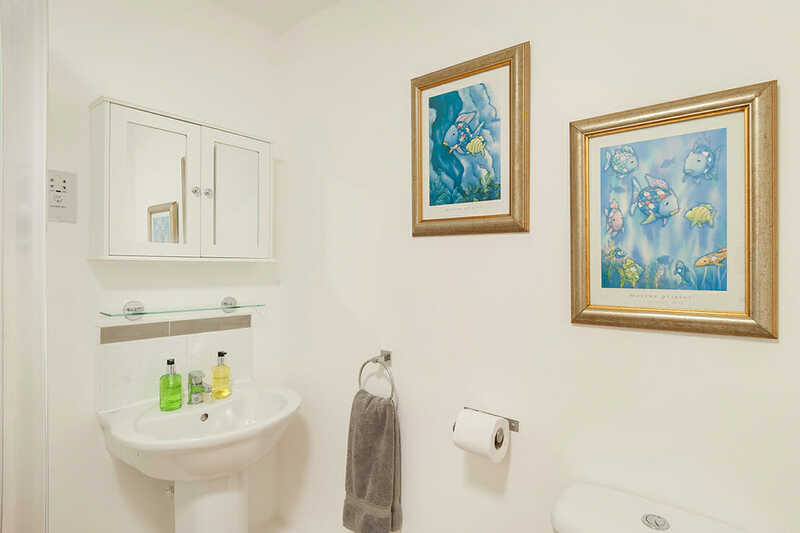 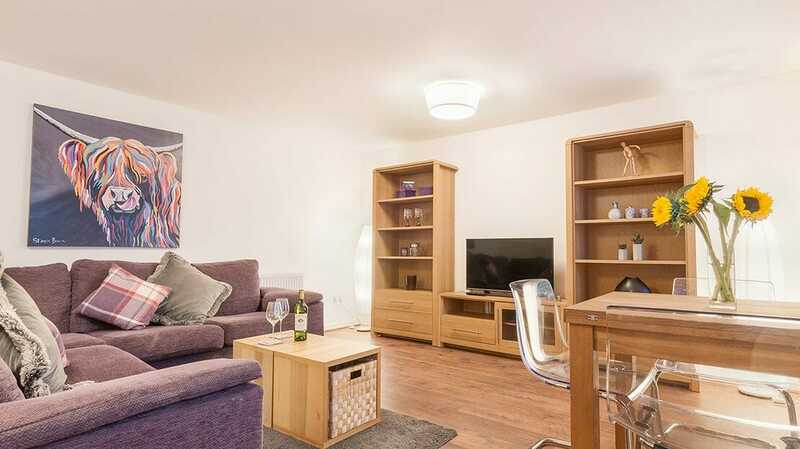 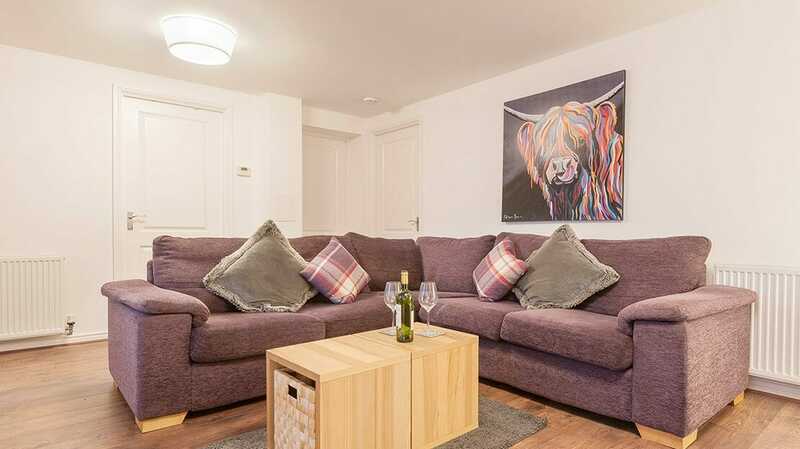 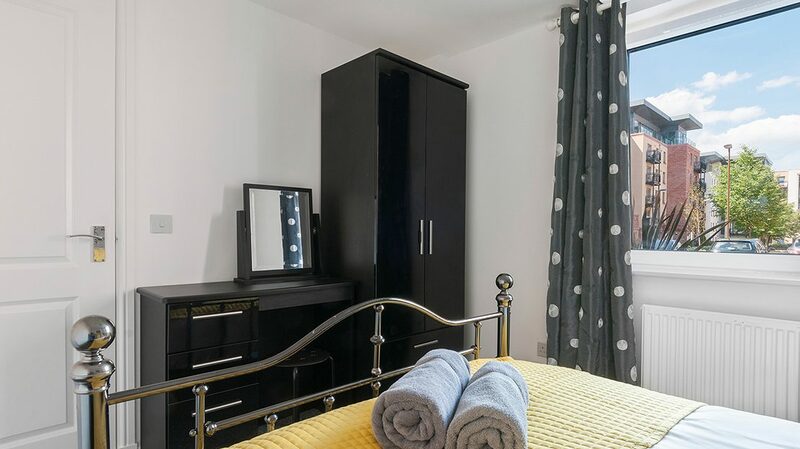 Tastefully decorated and recently refurbished, it really offers a home-from-home experience with ample free private parking on the development. 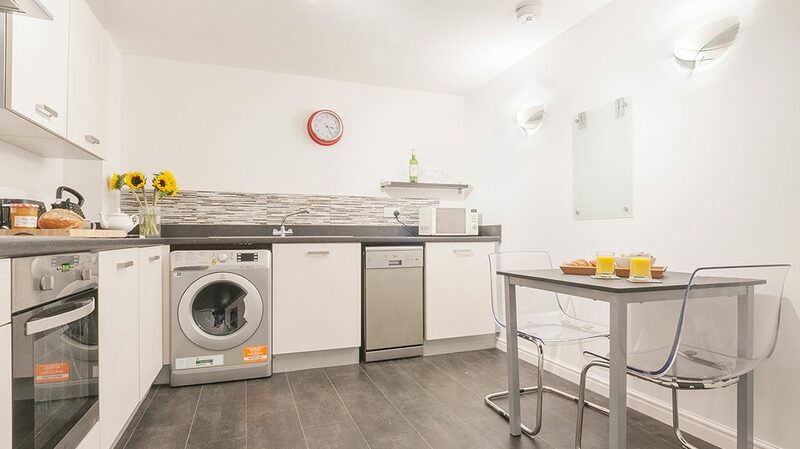 Guests have full access to the entire apartment. 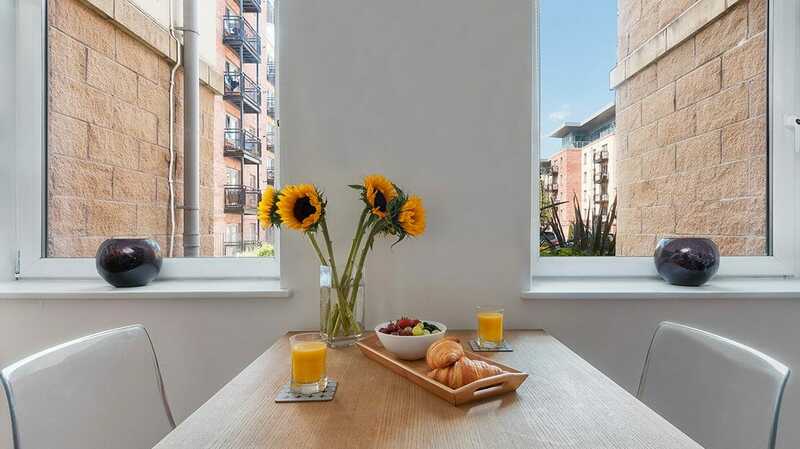 Whilst we live off-site, we are available for guests if they need us. 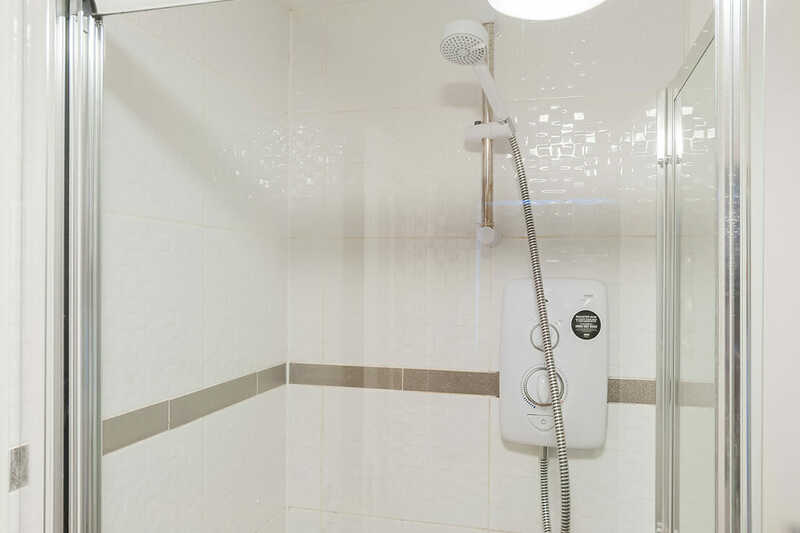 The apartment is on a quiet residential development – any anti-social behaviour will lead to immediate eviction.